In mountaineering, there’s a technique known as crack climbing — a method which uses gaps or cracks in the geology to ascend. Citigroup, known to most consumers for its banking and credit card services, has just announced its first step toward gap mastery. Two weeks ago, Citigroup  announced it would publicly report the pay gap (and goals for closing them) for women and minorities in three major geographical markets — the U.S., United Kingdom and Germany. With 209,000 employees, half of which are women, Citigroup is the first major US bank acceding to fix its gender pay gap. Is this a harbinger of change in the Tech sector soon as well. It’s worth looking at how this story unfolded to see how it might occur in the Tech sector. The lead climbing partner, is Arjuna Capital. 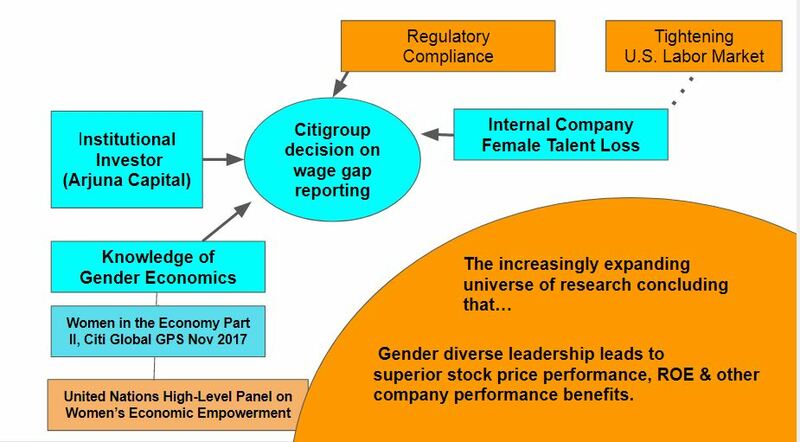 This investor advisor group delivered the triggering event for Citigroup’s announcement with their shareholder resolution proposal, calling for the company to disclose its gender pay gap statistics. (This is a document well worth reading for it one-page compression of facts and why the request is important business-wise). 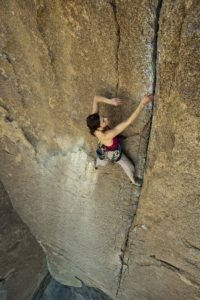 There are other climbing teams gathering to pressure financial, tech and a broad swath of U.S. public companies: In 2017, the California State Treasurer invoked CalPERS and CalSTRS ( the two largest pension funds in the US) to increase diversity to 30% women and 30% other minorities on the boards of its portfolio of companies. 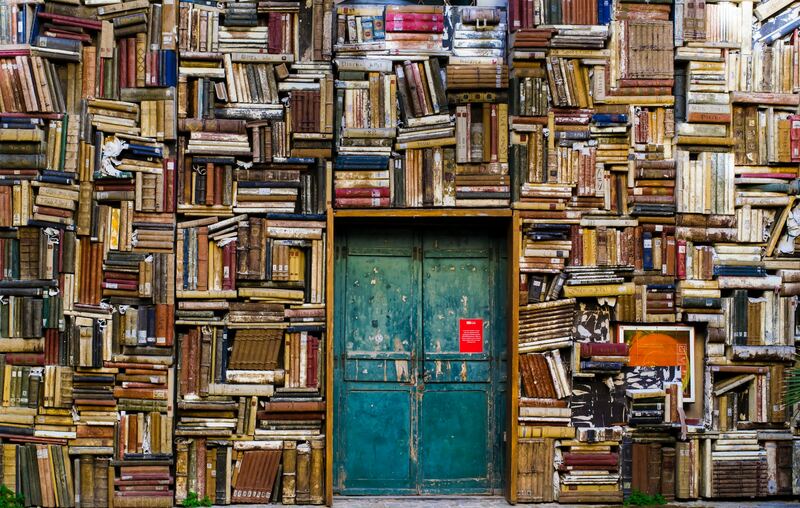 And if you read Pensions & Investments magazine online, there appear to be an avalanche of insurers and activist investors calling into their portfolio companies to move up the diversity bar. To understand the rock-hard resistance here, Fast Company notes that, to date, Facebook has not yet been particularly cooperative on gender reporting statistics, even with a CFO who is the icon of the Lean In movement. Like Facebook, Citigroup has a substantial investment in gender economics, as well as history with inter-governmental panels on world-wide women’s issues. And a giant universe of studies — from industry reports, management consulting reports to socio-econometric research – reach consensus: The presence of women in decision-making positions leads to superior corporate performance. Women have contributed vastly to the economy: One well-regarded calculation  estimates that female participation in the U.S. workforce since 1970 accounts for one-quarter of the current GDP. So what company educated on the gender-economy would not act when seeing women leave? And Citigroup did see them leave. As a woman with roots in the Tech sector, it’s startling to see a dark mirror reflecting back at you: Just like in Tech, women in the finance sector are (20–30%) more likely to leave mid-career . 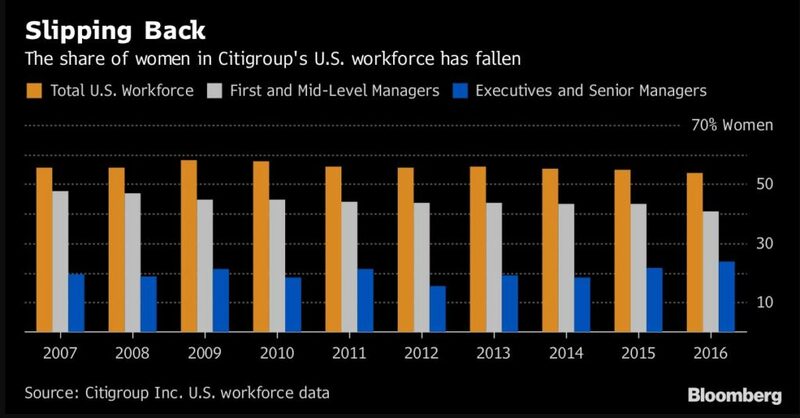 Inline with that trend, Citigroup’s workforce data (shown below as published by Bloomberg ) reveals women in first and middle-level manager positions fell from 48% in 2007 down to 41% in 2016. So there go the future executive and C-levels —down into the snowy ravine. This loss of talent increases recruiting and retraining costs. And this is happening while there is an ever-tightening US labor market. Perhaps the most influential factor influencing the Citigroup wage policy is regulatory compliance. After all, there is the upcoming Paycheck Fairness Act going before the US Congress. Today there are gender pay gap reporting regulations in Germany as there will be in the UK in April 2018. (U.S. women should be particularly grateful for these EU climbing ropes, as there is some evidence of recent tampering with US-made ropes ). So how can these statistics possibly be released publicly on the internet and social media without women in other geographies demanding similar treatment? Is it Time for Women Activists to Cheer? On the one hand, the situation is gloomy: Immense gender and racial gaps persist in not only wages but in equity compensation, promotions and board representation. And to the horror of many women activists and gender parity advocates, the global gender gap, is widening. First, there’s a secret win. In addressing the wage equality gap as a priority, Citigroup and Arjuna Capital better ensure that tens of thousands of Millenial age Citigroup employees will be less vulnerable to the financial compromises which +50 age women often suffer in retirement. Second, it seems the European Union regulators have thrown a rope to other women worldwide to climb up. Many multinational companies will conform to the new reporting rules, extending them to different geographies where economically feasible. Amazon, Facebook, Twitter, and Google all qualify. Third, our story unveils a roiling backdrop in the U.S., one which benefits women, particularly those working in large multinational corporations. The changing labor market coupled with women leaving mid-career may spur other companies to pull pay equity into the present. Add in the regulatory requirements working in a global economy, and we’re likely to see more Citigroup-like announcements from the tech economy and other sectors. It’s a little cloudy in Davos now, but let’s see how many new climbing parties gather at the base of the Matterhorn to give gender pay equality a try. Oh, there goes Bank of America starting up the ridge. Whose’s next? Be forewarned: My profile describes me as a former market analyst gone rogue. By “rogue” I mean I do quite a bit of research but it is unplugged from any institution. Citi is First U.S. Bank to Respond to Shareholder Pressure to Close Gender Pay Gap. PR Newswire, Jan 15, 2018. “Unlocking the full potential of women in the U.S. economy” McKinsey & Company, 2011. “The Trump administration just halted this Obama-era rule to shrink the gender wage gap” Washington Post, August 8, 2017. These will be discussed in later posts. [7 ]According to the Joint Economic Committee, a $10,470 dollar pay disparity can add up to nearly half a million dollars over a career. Source: #Real News: Women Still Earn Less Than Men” US Congress, Joint Economic Committee, April 3, 2017. Previous PostPrevious How Many Bossless Companies Exist Today?